An enforced spell of rest means I am doing quite a lot of reading, so I’ve just finished Val McDermid’s Northanger Abbey , the second of the Austen Project books in which the novels of Jane Austen are given a contemporary setting by well-known writers. I must admit I wasn’t expecting to enjoy the book as I thought it might be trite and spoil the original. But in fact I did mostly enjoy it; I got very involved in it and found much of it a pleasurable read. It’s surprisingly true to the original – the updated version follows Jane Austen’s plot very closely, and part of the pleasure of reading is tracing the plot of the original book. It plays to the strengths of Austen’s novel; McDermid’s version explores the preoccupation of youth with social settings, in this case at the Edinburgh festival rather than the society season in Bath, and the characters use social media and read vampire novels. The enthusiasm of the girls, Cat and Bella – notice the modified names – for their surroundings, for the books and plays and authors that they are experiencing at the festival, and for the world of social media, as well as for clothes, boys and their friends is appealing and makes you want to keep reading; like the original, this is very much a teenage novel. Austen’s novel thus seems especially right for adaptation into a contemporary setting such as this. While in the 18th century the preoccupation is with ‘silly’ Gothic novels, the ‘horrible novels’ that are described in the original book, the stories that are so bad for girls and which damage their minds (as well as their social interactions) are here replaced with vampire novels. But – and you knew there was a but coming – the silliness of the girls, with their preoccupation with the Hebridean Harpies series of novels (clearly a sort of parallel for Twilight and other books of its genre) is overwhelming. The foolishness of Catherine Morland in Jane Austen’s novel, constructing a Gothic story around the Tilney family, is reproduced in a way that seems just too daft here. Cat Morland is described as a nice girl in many ways; a sensible girl whose head has been turned by the novels that she reads – she thinks the best of people, she is rather naive and often slightly shocked by the behaviour of the people that she meets. 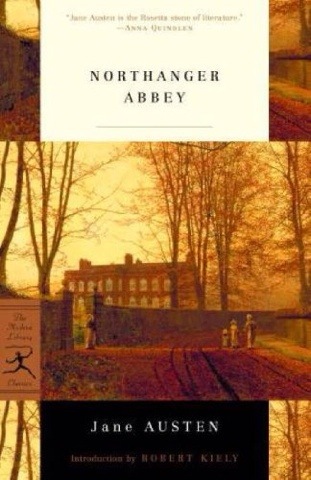 As a result, the projection of her fantasies of murder and vampirism onto the family at Northanger Abbey is just too absurd, and consequently the second half of the novel makes much more uncomfortable and unbelievable reading than the first half, a criticism which one could also make of Austen’s book, too. It’s also interesting that this novel cements the parallel between Gothic and vampires. The Gothic novels which the girls read in Austen’s version are replaced entirely with vampire tales in this novel, as if the comparison is unproblematic; I don’t think this is the case but since both novels hinge on reading crazes I can see how this works. Perhaps my biggest concern about this novel, though, is that while it is appealing and enjoyable in its updating of Austen’s novel, I wonder how much this is necessary, and whether teenage girls will really flock to read this new version. I must confess I find the teenspeak is somewhat cringeworthy but that may just be my reading of it. I also feel that some of the finer points have been missed: it seems to me that Austen was parodying the reading choices of women and the fear that novels damage women’s minds. I’m not sure that this novel really conveys this satiric element: although Austen’s point is that we might get too swept away by our reading, ultimately reading is a good thing. I think that point is rather missed here, and the moral which McDermid gives, that ‘it is not a function of fiction to offer lessons in life’, (perhaps a subject for a future post!) is not really the moral of Austen’s novel. Reading, of course, is crucial in Austen’s novel: reading is how people learn about the world around them. This is not the sense of McDermid’s story, in which reading is something which misleads you – even in the act of reading her novel, we are told that to read is to construct a false reality. 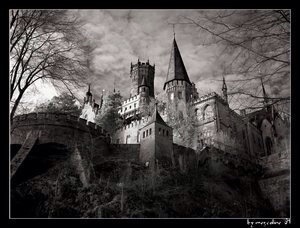 As a reader, and indeed a reader of Gothic, I find this uncomfortable; there are things that we gain from reading which are crucial; it is also a matter of what we do with what we learn. No internet so reduced to roaming from dreadful Samsung mobile! This means it’s almost impossible to read all your latest posts but I hope to catch up when I can. There good news is that I’ve discovered how to activate predictive text on the mobile! 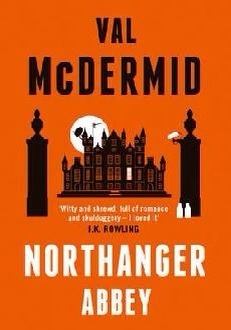 In the meantime, here is a good post from Serena Trowbridge in which she reviews Northanger Abbey by Val McDermid – on other words, Austen’s novel in a modern setting. I know! The thought makes me cringe too but see what she has to say before dismissing the book entirely.